BTS สุรศักดิ์ - 450 ม. Holiday Inn Bangkok Silom is located in the heart of Bangkok’s suburbs, tourist attractions, just 7 minute walk away to Surasak Skytrain station linking the hotel to shopping and nightlife centres. The hotel offers 684 guest rooms including newly deluxe room, Premier room and Suite room with FREE Wifi. There’s also a bar, restaurants, health club, swimming pool, tennis court, 2 Grand Ballrooms and 9 function rooms. 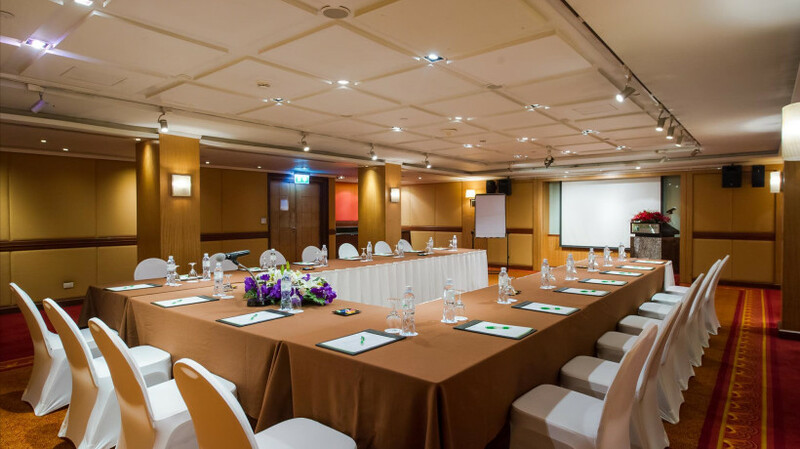 The Holiday Inn Bangkok Silom offers an effective combination of big-city convenience, professional amenities and customer care that makes it a brilliant venue for a range of events, whether business or personal. 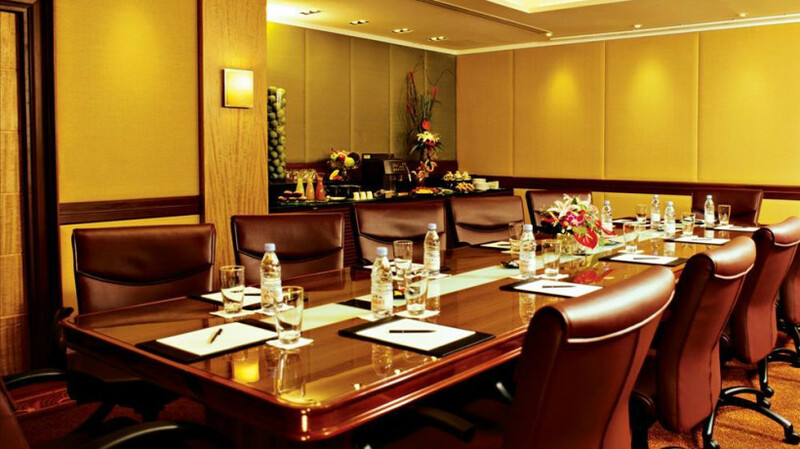 Our dynamic meeting spaces can accommodate up to 850 people in style, no matter the occasion or how many guests you invite. Attentive professional consultants and staff will ensure that you get the signature first-class Holiday Inn service, so there's no qualms about how successful it'll be. กว้าง: 11.85 ม. ยาว: 29.95 ม. สูง: 4.5 ม. Step into our marvellous Crystal Ballroom and you can't help but be absorbed in its immaculate elegance. Its vaulted ceiling is adorned with glittering chandeliers, while clean, crisp lines found in the decor add a nice contemporary edge to the overall classy setting. Wall-to-wall picture windows ensure lovely naturally-lit daytime functions, and at night, guests will be treated to the picturesque backdrop of Bangkok’s sparkling city lights, and an unobstructed view of the bustling Silom Road below. กว้าง: 10.6 ม. ยาว: 36 ม. สูง: 2.6 ม. 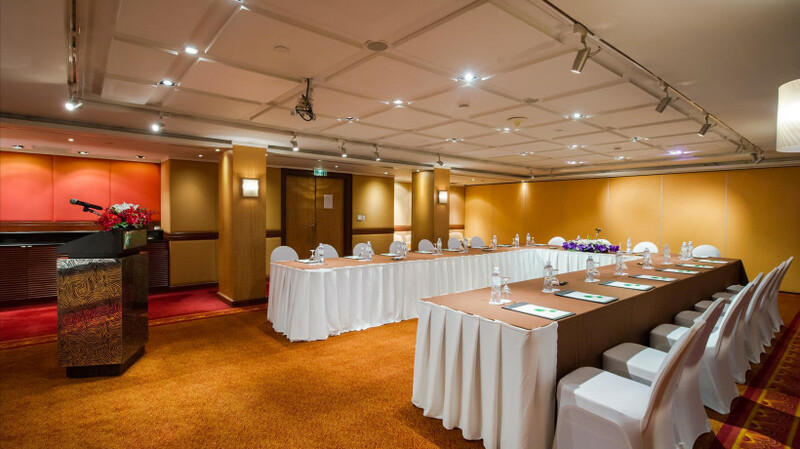 The Emerald Room can host up to 200 guests theatre style, and 130 conference style, in a stylishly minimalist atmosphere. One of the top choices for meetings and receptions, it can also be cleverly partitioned into three smaller soundproof function rooms for greater usability; Emerald I, 2 and 3. Each of these rooms can take up to 80 guests in a theatre layout, or 25 guests in a boardroom layout. During an event, refreshments can be made available in-room and in an area adjacent to the function rooms. กว้าง: 10.6 ม. ยาว: 12 ม. สูง: 2.6 ม. กว้าง: 49 ม. ยาว: 45 ม. สูง: 3 ม. At a considerably-sized 916 sqm, the Silom Ballroom has the capacity to fit up to 850 guests for cocktails and 550 for a sit-down dinner. 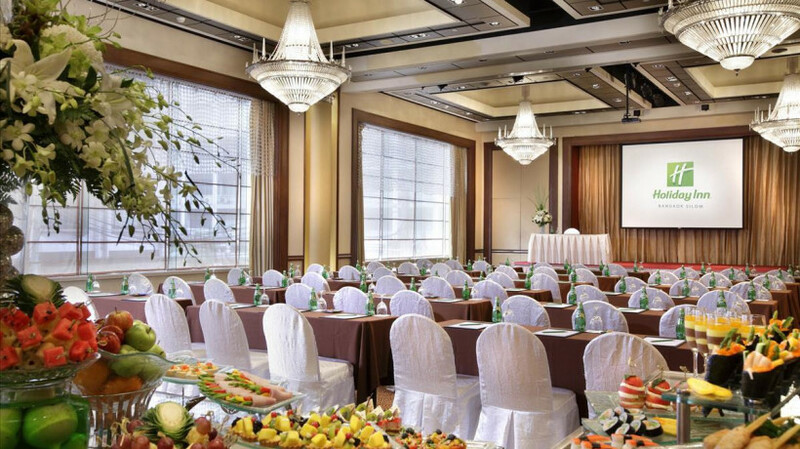 A marvel of versatility, the ballroom layout can be modified to accommodate various configurations without hassle. 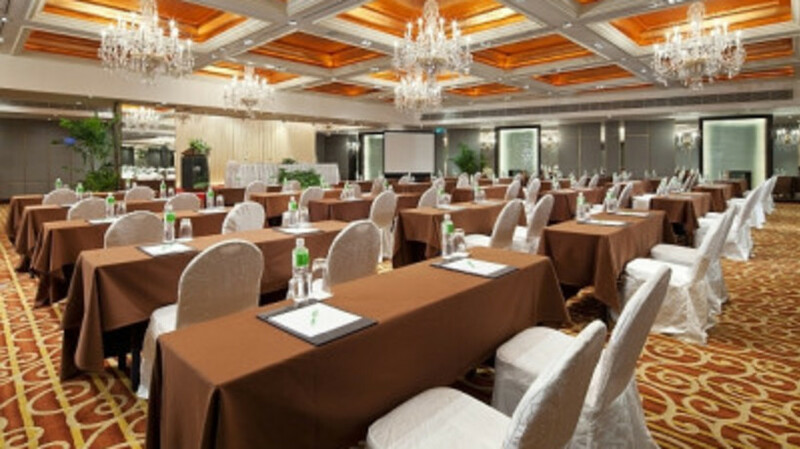 For instance, it can be partitioned into three soundproof function rooms, each catering to distinct requirements. With an ambience highlighted by the use of refined styling punctuated with some classic elements, guests are sure to enjoy their time in here. กว้าง: 16 ม. ยาว: 19 ม. สูง: 3 ม. At a considerably-sized 398 sqm, the Silom Ballroom I (one) has the capacity to fit up to 200 guests for cocktails and 200 for a sit-down dinner. A marvel of versatility, the ballroom layout can be modified to accommodate various configurations without hassle. 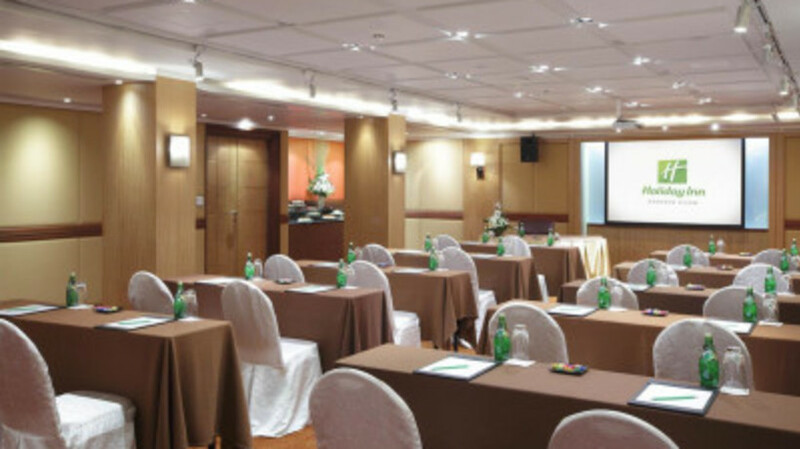 For instance, it can be partitioned into three soundproof function rooms, each catering to distinct requirements. With an ambience highlighted by the use of refined styling punctuated with some classic elements, guests are sure to enjoy their time in here. กว้าง: 13 ม. ยาว: 10 ม. สูง: 3 ม. At a considerably-sized 152 sqm, the Silom Ballroom II (Two) has the capacity to fit up to 150 guests for cocktails and 110 for a sit-down dinner. 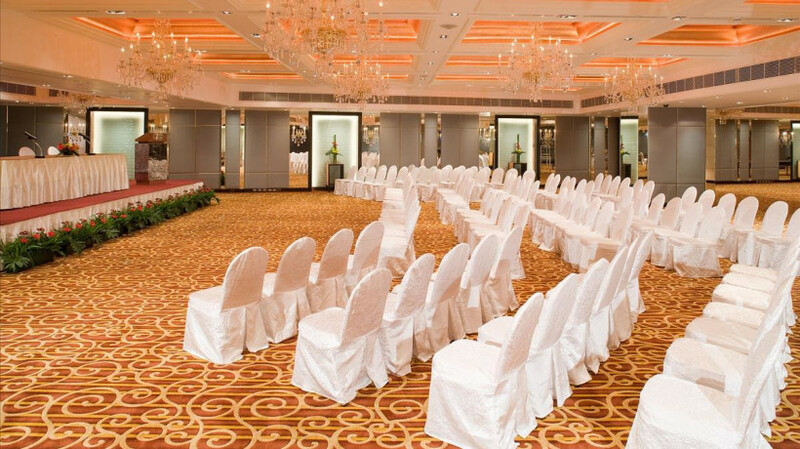 A marvel of versatility, the ballroom layout can be modified to accommodate various configurations without hassle. 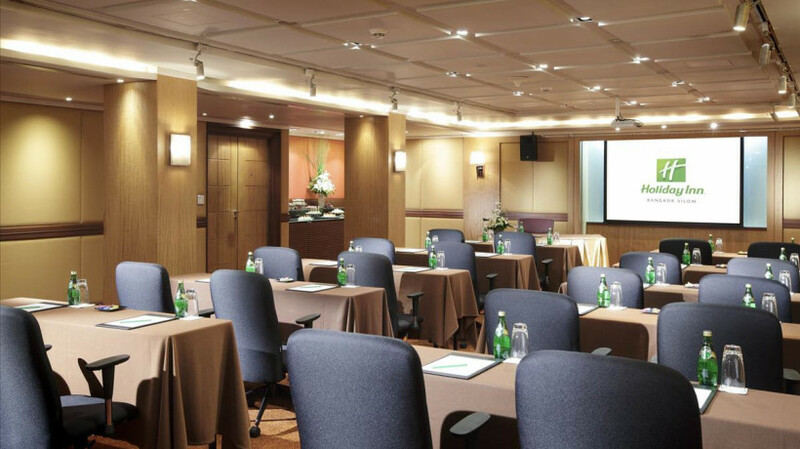 For instance, it can be partitioned into three soundproof function rooms, each catering to distinct requirements. With an ambience highlighted by the use of refined styling punctuated with some classic elements, guests are sure to enjoy their time in here. กว้าง: 13 ม. ยาว: 13 ม. สูง: 3 ม. At a considerably-sized 194 sqm, the Silom Ballroom has the capacity to fit up to 180 guests for cocktails and 130 for a sit-down dinner. A marvel of versatility, the ballroom layout can be modified to accommodate various configurations without hassle. For instance, it can be partitioned into three soundproof function rooms, each catering to distinct requirements. With an ambience highlighted by the use of refined styling punctuated with some classic elements, guests are sure to enjoy their time in here. กว้าง: 4.8 ม. ยาว: 7 ม. สูง: 2.3 ม. Can accommodate up to 12 people.